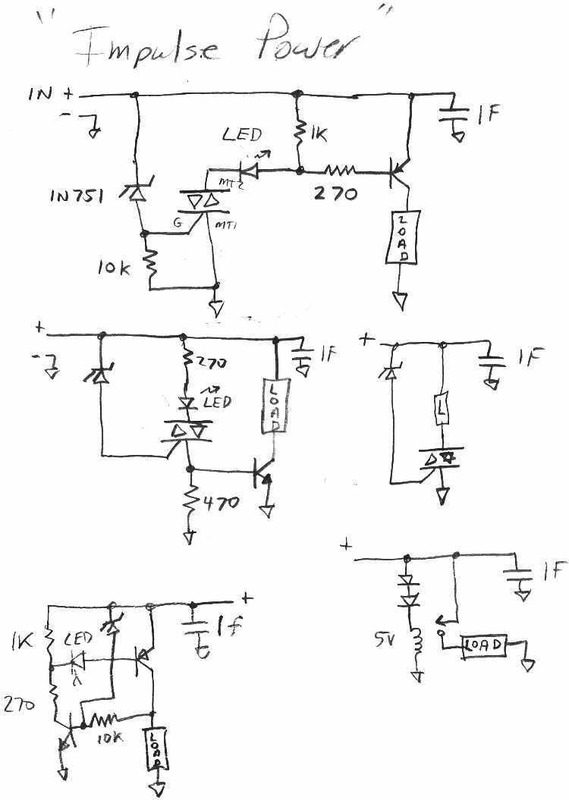 These are sketches of possible configurations for letting a 1 farad super capacitor charge up from some source, most commonly a solar panel, then connecting a load. The load would run a little while, until the cap is discharged, then the circuit would reset. There are lots of ways to do this and this sheet is just a collection of random thoughts. I used a triac because I have so many. An SCR would also work.